Quarterly WebEx telecon (9-11AM EST/GMT-5) to discuss agenda items with GEO Health Community of Practice, which is composed of a global network of governments, organizations, and observers. 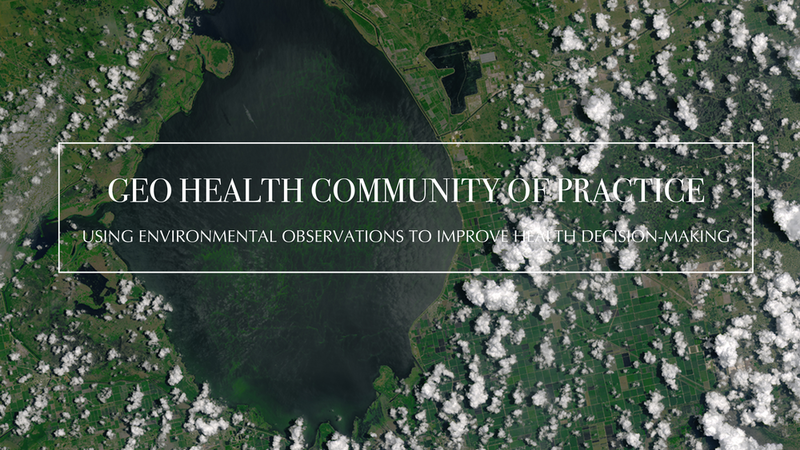 The GEO Health CoP functions thanks to the contributions of world-leading experts in the fields of Earth observations, medicine, and health decision-making. These experts from governments, organizations, and communities around the world work to improve the collection, analyses, and distribution of observations, data products, and services to decision-makers.